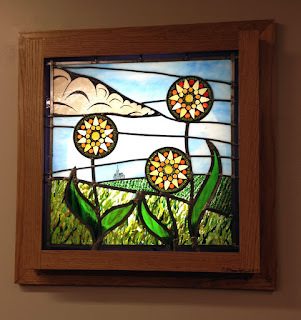 During my last visit to Flowing Stone Art Gallery in Beatrice, Nebraska, I was able to slip into the public library to see my piece installed. The remodeling of the library has taken a bit longer than planned, so the piece has been waiting to go up for awhile. It looks so great on the wall, all lit up in it's own framed light box. I heard that the family who commissioned it was all really excited to see it and happy with how it turned out. It's a memorial piece for their father, and they all agreed that he would have been very happy with it. Installed on a basement wall within a light box. The window is a combination of techniques in glass. 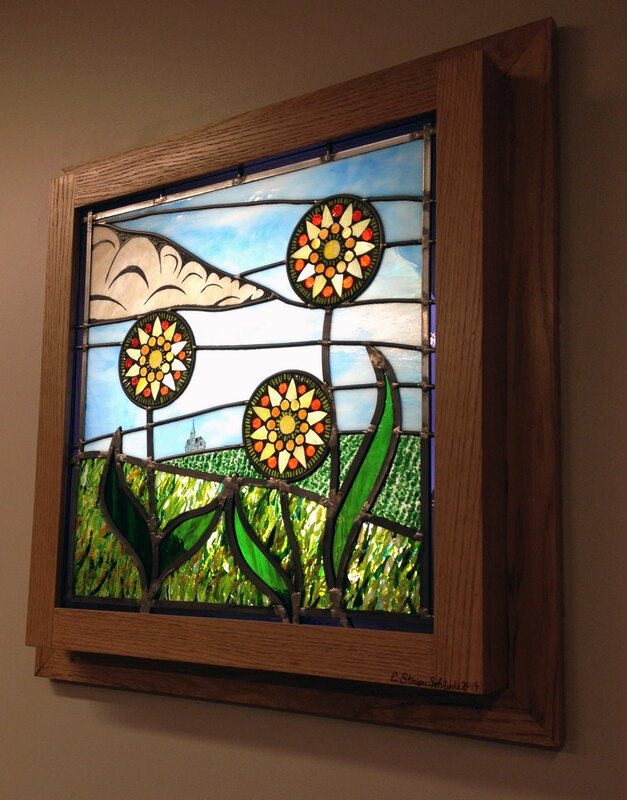 The whole thing is leaded together in the traditional leaded glass technique. 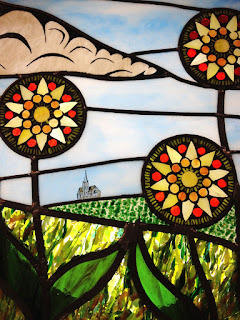 The cloud and the church are painted on with stained glass paints that are fired in the kiln to be permanent. 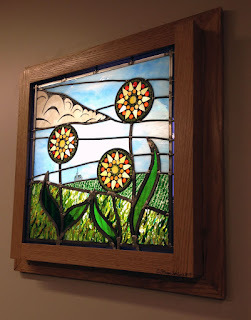 The flowers are glass on glass (GOG) mosaics, glued and grouted, then leaded into the panel. 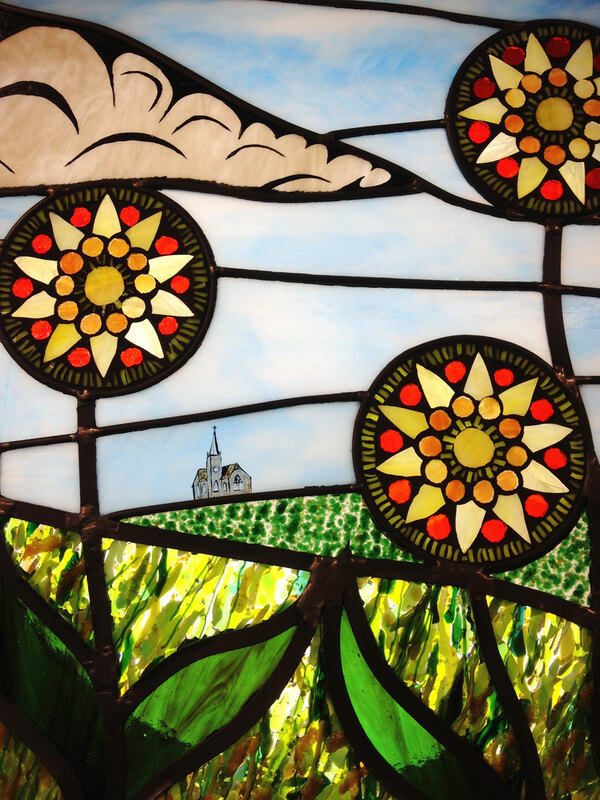 The landscape glass is all fused glass, with several bits of glass tacked together to make it layered and textured. 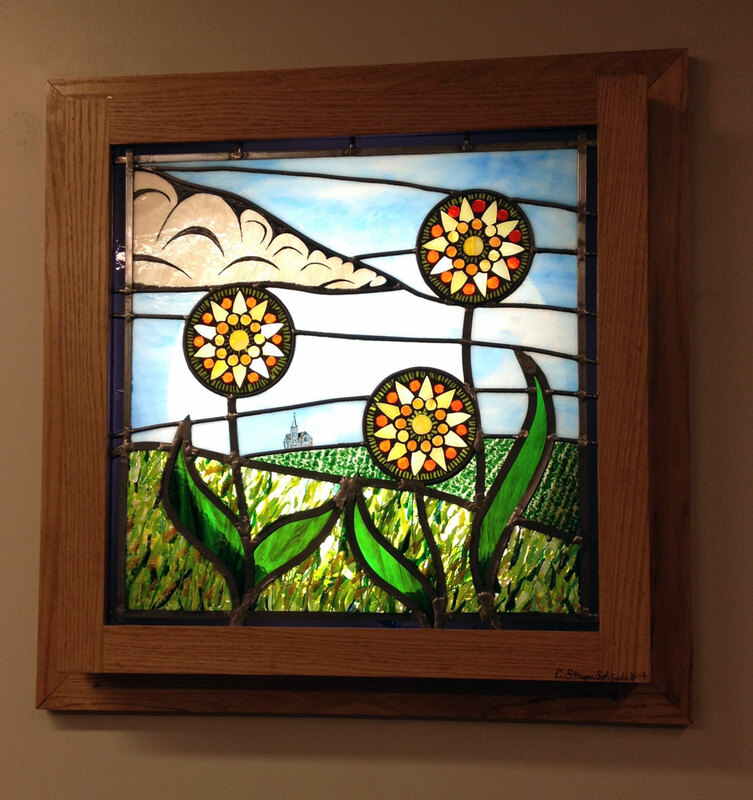 To view the window in person, visit the newly remodeled Beatrice Public Library. Beautiful work! It's great to see such amazing pieces and the process it went through. Thanks for sharing this!